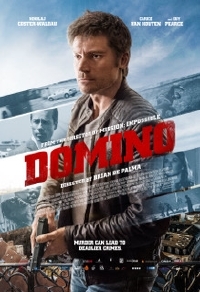 Saban Films has released the trailer for Brian De Palma's latest, Domino, starring Nikolaj Coster-Waldau, Carice van Houten and Guy Pearce. a world wracked by terror and suspicion, Copenhagen police officer, Christian (Nikolaj Coster-Waldau), seeks justice for his partner’s murder by an ISIS member named Imran. On the hunt for the killer, Christian and a fellow cop are unwittingly caught in a cat and mouse chase with a duplicitous CIA agent (Guy Pearce) who is using Imran as a pawn to trap other ISIS members. Soon Christian is racing against the clock – not only seeking revenge, but to save his own life.